Working out which baby monitor to purchase for your family can be daunting, even with reviews to help. For first time parents especially, even knowing what you should take into consideration can be tough. Fortunately, we’re here to help make sense of baby monitor reviews and find the one that’s right for your . You need to be happy to leave the nursery and trust the monitor to alert you when your baby needs you, so it’s essential to select the device most suitable to your home and lifestyle. Monitors work by transmitting audio and sometimes video information, letting you listen out for hungry tummies and nappies in need of a change, but importantly looking after your child’s safety. More often than not, the baby monitor best for your family is the one that reviews report provides the highest sound quality, wherever you are in your home. The baby monitor’s signal is your link to your child, but it can be disrupted by thick walls, or subject to interference from many household objects, such as microwaves, laptops, other monitors, mobile phones, etc. If your broadcast is suffering from interference, you won’t be getting the best out of your device and may not hear when your needs you. As a general indication, if your house has many electronic goods, thick walls or neighbors with young children and their own baby monitors, then interference is likely to be problem. Luckily, interference can be easily negated by modern baby monitors, which use digital encryption to block unwanted wireless frequencies. As you might expect, analogue devices are much more susceptible to interference and, even though they’re cheaper, your child’s safety is paramount. When you’re looking at baby monitor reviews, try to find devices that broadcast at 900MHz or higher. These frequencies aren’t commonly used by other household objects and are less easily disrupted by thick walls. It’s not only thick walls that you’ll need to take into account though; the size of your house will also affect your monitor’s reliability. When purchasing the device, be sure to check that the range of the system is suitable for your home. Be warned, the claims on the box will be a maximum, which is based on an open field test. In a real home the range can be up to thirty times less than the stated claim, so after purchasing a unit, it’s worth making sure the range extends where you need it. Many baby monitor reviews will mention if a device’s range is especially shorter than claimed. Some monitors also feature range alarms, which inform you when you’re reaching the broadcast limit of the system. 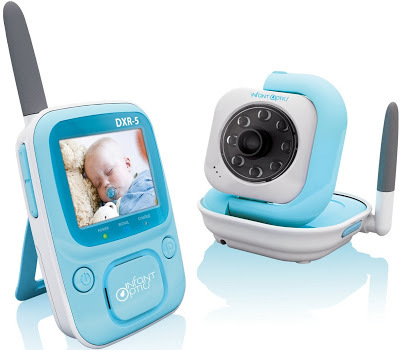 Alongside the traditional audio monitors, many manufacturers now provide baby video monitors, which feature small cameras with infrared capability – allowing you to view the cause of your newborn’s disturbance through the parent unit. 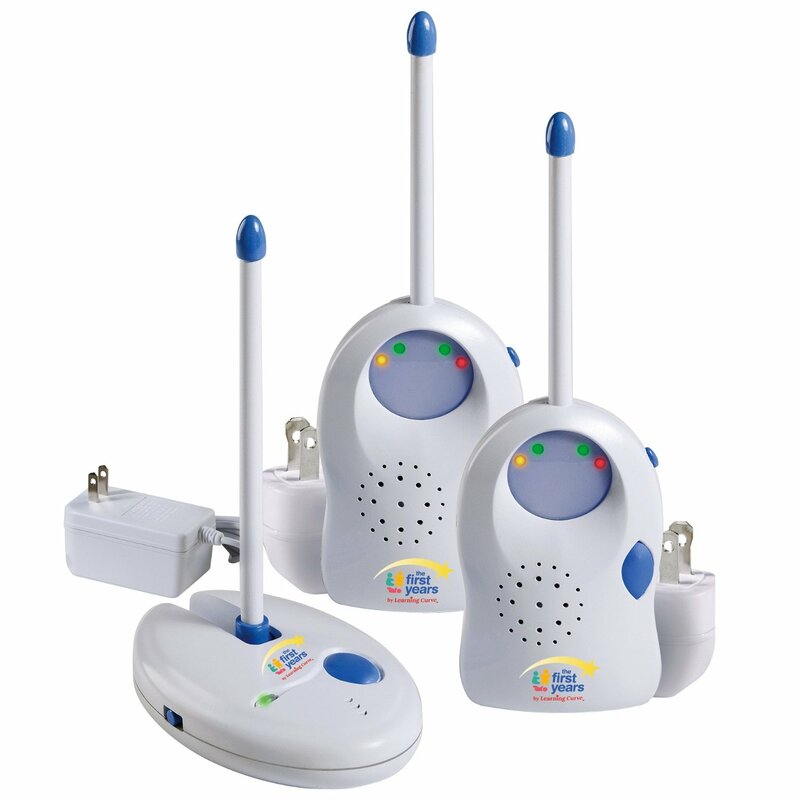 These devices are great for helping parents to determine if there is anything serious going on and if they need to go to the baby, but they are more expensive and have a much shorter battery life. When considering a baby video monitor, remember that the video can’t tell you if your baby is crying, so sound quality is still the most important child safety feature to base your purchasing decisions on. Video baby monitors also suffer from shorter broadcast range, so it’s worth ensuring that the device functions in all areas of your home. On top of these core child safety features, modern baby monitors can be purchased with a number of optional utilities. Some models include programmable nightlights and lullabies to help fitful sleepers drift off if they stir in the night. Other models can alert you when the room becomes too hot or cold, detect movement, remind you when it’s feeding time, or come with two-way transmission so you can talk to them too! 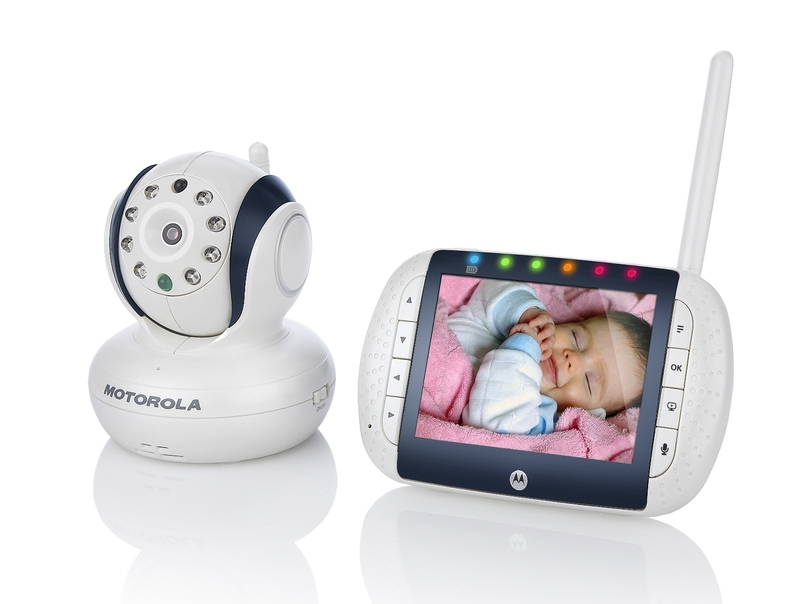 By reading baby monitor reviews, you can find out which features you need for your device. Don’t forget, the more features that your device has the greater the demand on the battery. Even the best monitoring system in the world cannot ensure your ’s safety if the parent unit has no power. To ensure that your monitoring system is never without power, you can purchase devices that alert you when the battery is low, but getting a two parent unit system can be better. This allows you to charge a device plugged in the mains in the room you’re most frequently in, while carrying another unit with you, allowing you to move with fewer restrictions and maintain vigilance over your child’s safety. Though there’s a lot to consider when purchasing a baby monitor, look after your child’s safety (and your sleep!) by making sure that you find the right device for you. At the very top end of the scale, there’s the award winning Phillips AVENT DETC Baby Monitor range. Though costly, this system boasts incomparable sound quality and, through the incorporation of digital encryption technology, ensures you can hear your baby perfectly, without the risk of interference. All products in the AVENT range include adjustable sensitivity, remotely activated nightlight, range and battery alarms, and two-way communication. More expensive models also feature temperature detection, infra-red video monitoring and extra parent units. Families looking for a more economical option may prefer the Motorola MBP 16, which offers clear sound quality, two-way communication, temperature alerts and lullaby playback at an affordable price. The more expensive models in the range also feature video monitoring with support for up to four cameras.